After months of user feedback, design changes and quality testing, Converge 2.0 is ready to launch! 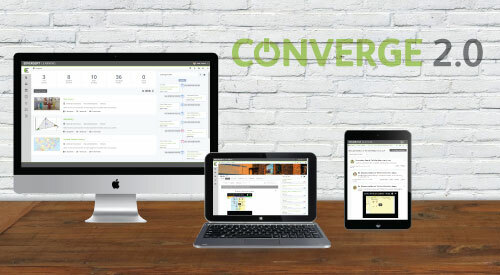 We have redesigned Converge to be quicker, easier and to provide an improved user experience. We have relied on great feedback from teachers and students to completely overhaul the user interface to make it more efficient. Converge 2.0 features a new tool called Quick Links. Account admins can provide instant access to the most useful resources by creating Quick Links; accessible by all account users. Instructors can also create their own links for personal use. We are very pleased with the new layout and functions, and can’t wait for you to try it! For more information, visit us at convergelearning.com or contact us to schedule a live demo! Previous PostGet Creative! Implement Instagram into Instruction!